The Vegetarian Flavor Bible by Karen Page is a mega guide to the essence of ingredients. And while the book has already received countless accolades for ‘Best Cookbook,’ it offers far more depth and utility than most recipe-centric cookbooks. Rather than being organized by course, season or region, the majority of this informative book is alphabetical, containing profiles of hundreds of ingredients, mostly plant-based. From apricots to za’atar, you’ll learn about their essence and application, meaning you’ll understand exactly how and where to use them. 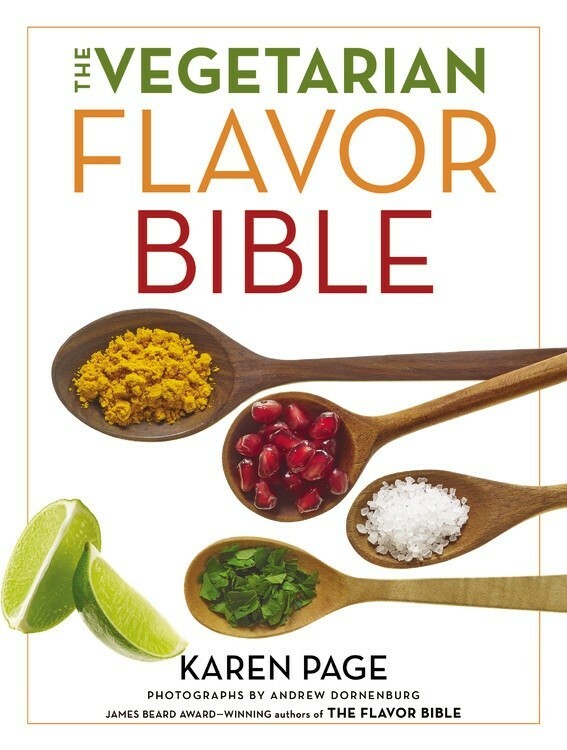 Each comprehensive entry describes key aspects like season, flavor profile, nutrition, cooking techniques, tips and flavor affinities. One one level, The Vegetarian Flavor Bible addresses a practical need. As I develop recipes, I’m always looked for new sources of inspiration to create interesting food pairings. Like most of us, I get a bit stuck in my ways with cooking, and this robust book provides a way to quickly generate ideas and inspiration for dishes based on a single ingredient. Ever wonder what seasoning to use on your parsnips? You’ll easily find its botanical relatives like caraway, dill and parsley. Or, try a suggested combination like parsnips with cumin and orange. 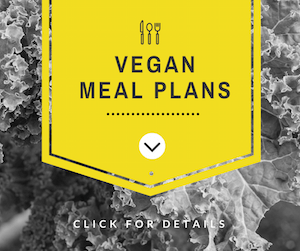 The Vegetarian Flavor Bible, while encyclopedic, is simple and useful. And yet, the book is so much more than a utilitarian 554-page guide to ingredients. It also presents a fascinating history of vegetarianism and discussion of flavor perceptions, compatibilities and how to maximize tastes in vegetarian foods. 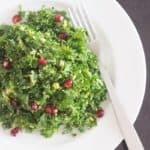 Any reader, vegan, vegetarian or omnivore will recognize the depth and delight of cooking with vegetables. I’m thrilled that Page and her husband Andrew Dornenburg’s thoughtful and sweeping approach to culinary topics has made its way to vegetables. My admiration for the couple’s work goes way back. Their book, Becoming a Chef, was required reading in my culinary program and has given countless chefs (and the food-obsessed public) a fascinating look inside the cooking profession. Then, as my interest in wines evolved, I enjoyed their What to Drink with What You Eat, an award-winning book about pairing food and beverages. While The Vegetarian Flavor Bible is vegetarian, not vegan, and animal milk, egg and cheese products are referenced in the book, they are the minority. And numerous sections (e.g. ‘Vegan Egg Substitutes’) speak directly to vegans. As a committed vegan, I don’t feel constrained or limited by the information in this book. Instead it demonstrates that it’s just as simple to go vegan as it is to become vegetarian. In fact, Page and Dornenburg themselves have been transitioning to a vegetarian diet, and this year elected to try out veganism for the month of January. 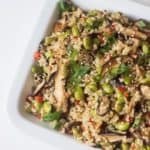 As chefs and food experts, they know as well as anyone how going vegetarian and ultimately vegan, serves our enjoyment, ethics and well-being. The Vegetarian Flavor Bible offers endless practical applications while shining a light on vegetables and the power of plant-based cuisine. One lucky winner will receive a copy of The Vegetarian Flavor Bible by Karen Page! To enter, simply click on the giveaway below to input your contact information. Then leave a comment below this blog post and share your favorite ingredients to flavor foods. Good luck! The giveaway entry period begins 12:00am January 18, 2015 ET and ends 12:00am January 26, 2015 ET. (Sorry, US residents only). To enter, click on the Rafflecopter badge above to enter your name and email. Then leave a comment on this post below about your favorite ways to flavor foods. Liking various curries – would like to make my own! I love lemon! everything with lemon favor can take my breath away! Garlic- hands down! Some of my favorite herbs to use are rosemary, oregano, basil, & cilantro. I’m fairly new at the veggie thing but have discovered adding miso paste, red and green curry paste, and lemon to add flavour to pretty much anything. I’m working on getting my husband on board to be vegan as well, and smoked paprika has been the best addition so far for a veggie ‘meat’ pasta sauce. It has meaty flavour that is perfect for ppl transitioning and missing certain flavours. I like the combination between black ground pepper, red pepper and Rosemary. Cinnamon. ginger and fresh mint leaves! Yummy!!! Some of my favorite ways to flavor up my fave dishes are: lemon juice, soy sauce, sriracha, apple cider vinegar, nutritional yeast, and Braggs liquid aminos. Yum!!! I like to flavor food with ginger, low sodium seasonings and soy sauce! I like using spices. Cumin is great for that bold flavor I love and great with legumes. But don’t forget using some form of hot peppers; chili flakes, small pieces of habenero. Some of my favorites to flavor food are: basil, chili powder, light soy sauce, lime juice, agave, vegetable broth (homemade), cilantro, and (number 1!) fresh garlic! I will go with garlic, cilantro and lime juice. Love using cumin, smoked paprika, lemon and different chili powders. I’d be interested in making just about any vegan meal in a pressure cooker, I got a pressure cooker 5 years ago for our wedding present and I have never used it, I don’t have any idea what to make. My favorites are Bragg’s liquid aminos, cumin, basil, and lots of garlic. I love using fresh herbs, ginger and garlic for flavor! I love all spices and have just started to go vegan (meaning no cheese either). I need more of a variety of seasonings for more tasty meals for myself. Thank you! I love to flavour food with creamed coconut and curries. I’ve started using canned sauces more often to save time (sorry!) and I love to start soup bases with grilled garlic and veggies. This is a tough one cuz I love so many spices. I have also really, really been wanted to check out this book. I’ve heard good things about it 🙂 I guess if I have to choose it would be lemon and lime, maybe cayenne pepper as well. I’m a little obsessed with miso. Lately I’ve been making miso, mustard, maple glazed veggies. Yum! I like to use garlic and lemon. I really need to learn what other spices to use. I love flavoring food with balsamic vinegar, soy sauce or tamari, cumin, smoked paprika, tumeric, pepper, rosemary, coconut milk cubes… the possibilities are endless! I use garlic a lot. Also Italian seasonings. Hoping to learn more about what seasonings blend well with certain veggies. Thanks! I love lots of spice, so cumin, cilantro, smoked paprika, cumin and turmeric are always in my cabinet. I also love uses vinegars and oils when I can. Such good flavors! heres a few ideas. Someone I know makes currys with lots or fried corriander, cumin and fennel and hot chille ( all ground and fried in oil)and uses whole pound of solid coconut in the green packet. Then cooks fresh sprouts and serves on white rice..its sooooooo good!!!!!!. 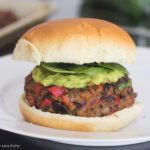 few more ideas….for spread which are great meat replacers which its good to go and buy and have regularly in your fridge or cupboard- and actually more delicious….. olive pate, mushroom spread, refried beans, yeast extract, some vegan cheeses. Chick peas mashed into olive oil( or a good healthy oil) cooked in corriander, fennel, garlic, mustard seed and cumin, then once mashed stir in a good basic brand of soy milk which for some reason makes it go ”fluffy” … then use this as a topping to vegetables. you can also mix broccoli and sweet corn and chillies and onions and any of your favourite veg and cook and use as dish toppers or as pies…..
other day I ran out of food at work so I had toast drizzled with olive oil and tiny bit of salt and pepper and some fresh rosemary sprigs and a good handful of grapes with I cut in half and had all over the toast… it was really good!!! 🙂 i hope this shows how much we are able to discover new things….. I love Chinese five spice, but since that’s a mixture, maybe that’s cheating. Some of my favorites are cilantro, garlic and anise. But I don’t think there’s a spice I don’t like. I also love the variety of olive oils available these days, Sriracha and balsamic vinegar. This is going to be a tough one! I love using diverse spices while cooking: smoked paprika, tumeric, cumin, dried herbs like thyme, Rosemary, basil, etc. I also use wine or balsamic vinegar, especially when it’s something tomato sauce related. And then I love coconut milk along with a nut butter, it’s so thick and creamy!